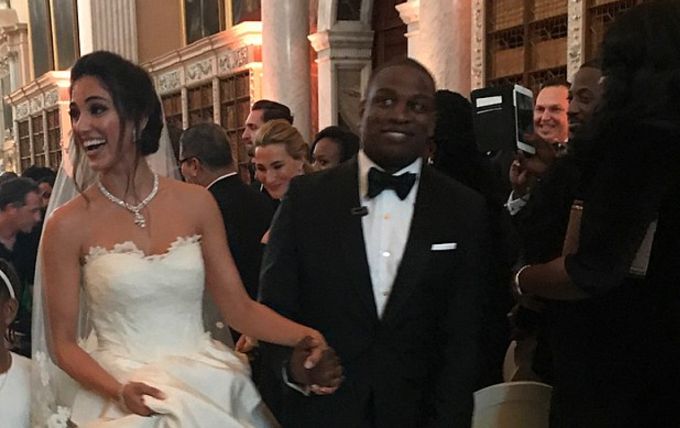 Tunji Balogun, a talent manager better known as TeeBillz, has reacted to rumours that his estranged wife, Tiwa Savage, is in an amorous relationship with Wizkid. 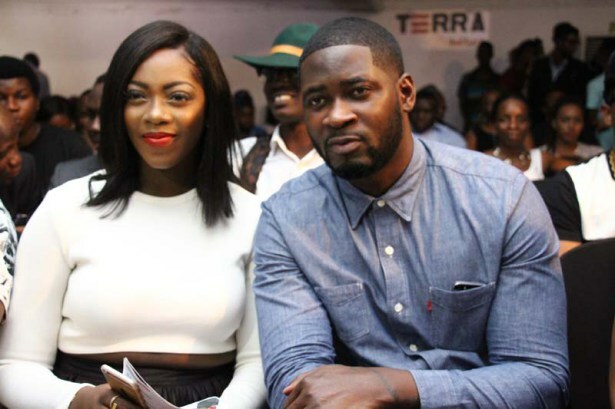 TeeBillz asked fans on social media, where the narrative is being pushed, to show him evidence that Savage and the Afropop star are dating. 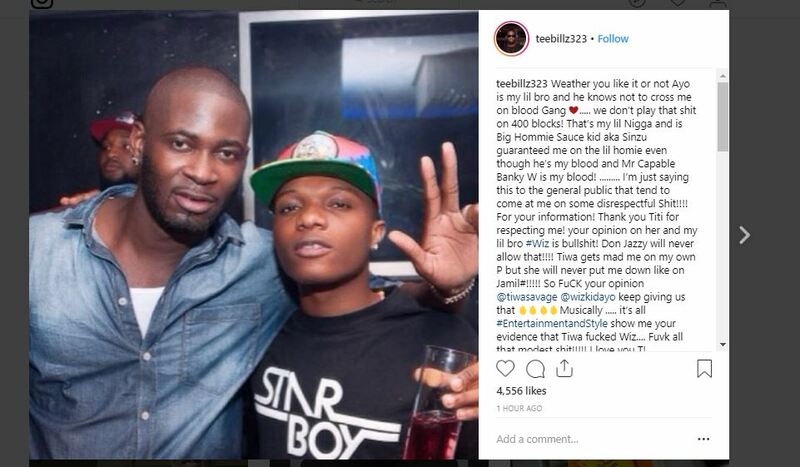 In a largely incoherent post, TeeBillz accused the public of being disrespectful, saying “Don Jazzy will never allow” Wizkid have an affair with his estranged wife. 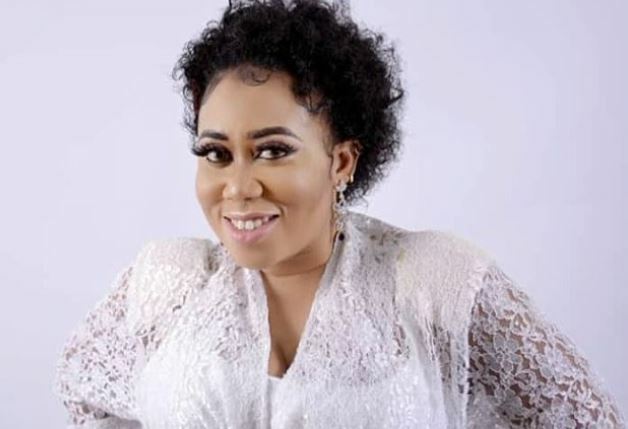 He wrote: “I’m just saying this to the general public that tend to come at me on some disrespectful s**t.
“Thank you Titi for respecting me… your opinion on her and my lil bro #Wiz is bulls**t. Don Jazzy will never allow that. 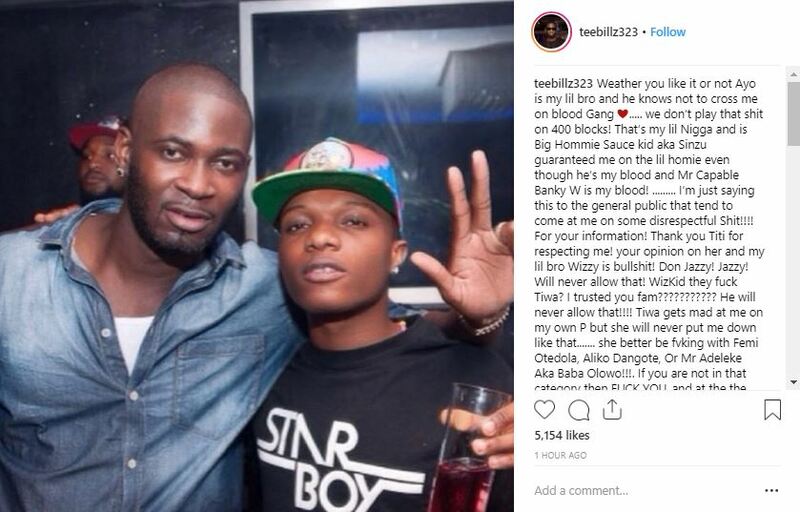 At the end of the post, TeeBillz congratulated Wizkid for his Starboy jersey collaboration with Nike. TheCable Lifestyle in March learnt that TeeBillz had filed for divorce from Savage. In 2016, their marriage made frontpage news after Teebillz embarked on a lengthy Instagram rant, accusing Savage of neglect and infidelity. He was also reported to have attempted to commit suicide. Responding to his allegations, Savage granted an explosive interview, during which she accused of him of being unfaithful and living above his means to the point of getting into debt. After the public exchange and subsequent intervention from friends, TeeBillz sought help for depression and mental breakdown. Working with Lanre Olusola, a life coach, he underwent rehabilitation before returning to social media in 2017. It’s a lie,that can never happen between tiwa&wizkid.